The nicest guy ever, Tom always puts others before himself, ready to help, anyone, anytime, anywhere. He loves to travel to do races and is a great resource on all the favorites across the country. He is a great listener and patiently helps customers find the perfect fit! Born into a life of Fleet Feet, Emilia is having fun learning the family business as a young adult. Emilia knows her footwear. Her sports of choice have been soccer, basketball and swimming. Recently she's added bicycling to her favorites and is a regular at CycleBar classes. Her dad's eyebrows are raising with the look of possibility when the idea of a triathlon is mentioned. We'll see. 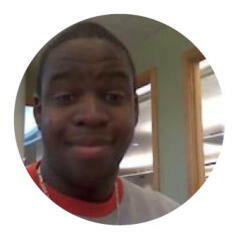 Paul's easy-going manner and ability to multi-task makes him a perfect "F.I.T." for the store. His impressive 40+ year running career includes competing in cross-country and track during high school and college, building into an elite adult runner with bragging rights to a 2:48 marathon, 1:18 half marathon, 36.47 10k, 27:30 8k and 17.13 5k AFTER AGE 40! 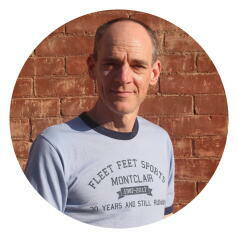 Paul is an experienced race director, coach and has 22 years of restaurant ownership in his previous life! Most important, Paul met his wife Sue at Fleet Feet - lucky for all of us! Come to Fleet Feet on Thursdays and you are certain to meet Ryan. His charismatic personality, strapping statue and booming voice are memorable. He meticulously straightens up the store, makes the staff and customers smile, and brightens our day. We would not be the same without his 10 years of dedication. Her handle is "superduperfancynancy" and that she is! During the week Nancy works in the healthcare continuum as a social worker. By weekend she offers Fleet Feet customers and staff support, encouragement and positive energy that empowers healthy lifestyles. "When I run races, I feel a part of something bigger than myself. 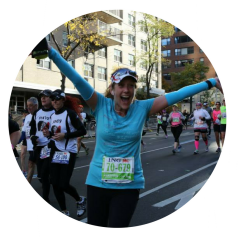 I can say that the day I ran my first NYC Marathon is one of the best days of my life. Running the marathon is one of my biggest accomplishments, something I did not because I had to, but because I wanted to." Don retired his soccer cleats for running shoes after a great career as player and college coach. 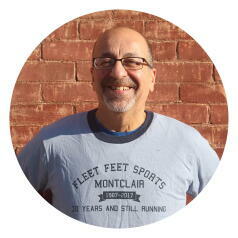 Nearly 40 years of running and training athletes, Don shares his passion and knowledge with our running community. Don't let his gruff, gritty "coachiness" fool you. He's well schooled in huggable, gentleness by his 2 adorable granddaughters. Wonder Woman! The Little Engine that Could...and Does! Loren brings a contagious energy and positive enthusiasm to everything and everyone, including her terrific family. 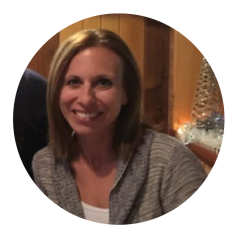 Experienced as an event planner, Loren is a community connector who links Fleet Feet Montclair to people who share our commitment to health and wellness. She encourages those lucky enough to know her to get active and stay active. A life-time athlete in every arena, she likes to challenge herself too. 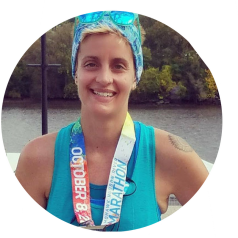 Loren's a Boston marathon qualifier many times over, has completed 6 "mudders" and has her eye on a future Ironman. Laura is notorious for going the extra mile in her work ethic, her personal training regime and in supporting training program participants. She keeps the business details organized and the communication flowing to our vendors, customers, staff and community. A former YMCA executive, Laura infuses fitness industry experience, wisdom and knowledge into all our special promotions and events and double teams as an apparel and accessories buyer. Cori is our trend setter. She keeps a creative eye on colors, new styles and thoroughly enjoys putting product to the test of everyday use. Mom of 2 young cuties, Cori relates to others who are balancing home, work and workout. Cori and Fleet Feet found each other in our 2012 Half Marathon Class and have been inseparable every since. 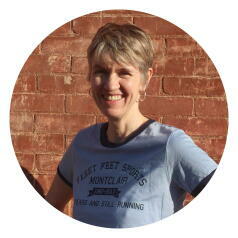 She shares her love of running as a Fleet Feet Running Club coach. Paige adds a unique perspective to our Fleet Feet crew. 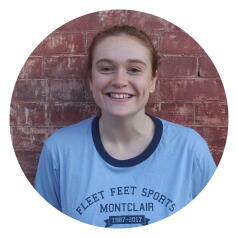 Moving here from Japan with her family, she brings her worldly knowledge and adventurous spirit to the team. Paige knits, sews and runs...not necessarily in that order and not at the same time! She's got a keen eye for color, texture, fabric and design. Art teacher by day, mom by day and night, Kate, our longest standing (and running) employee, has shared her active life and infectiously positive attitude with Fleet Feet for over a decade. Having worn many Fleet Feet hats through the years, Kate adds expertise wherever needed. 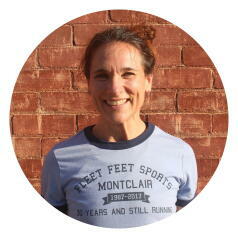 Kate is our trail and ultra distance specialist with two 100k's under her belt and feet. You'll see her at Boston's starting line this spring! Our resident "techie," Glenn's engineering mind makes him great at diagnosing people's running form, schooling the staff on new high tech products or finding an ingenious solutions to most store problems. Glenn is our example of perfect running form. 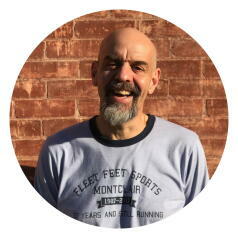 For over 20 years he has competed in countless races from indoor track to the marathon to a 50 mile ultra trail race. 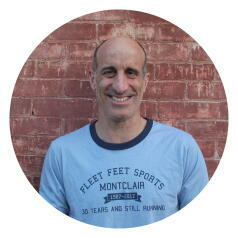 Glen is a certified Chi instructor with amazing ability to help runners understand the concepts behind their form. What is better than working each day with incredibly inspiring people and being part of a tremendously supportive community for over 30 years? NOT MUCH! Maybe watching your family thrive as they pursue lives of health and happiness. 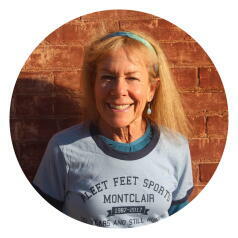 Fleet Feet Montclair's success certainly is a team effort. 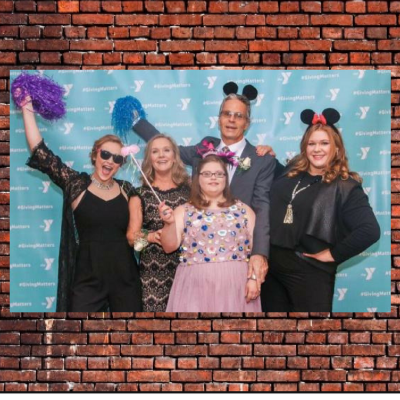 We are humbled and grateful to share our passion for small local business, physical fitness, inclusion and service with so many like-minded community supporters. We are a community who believes in helping one another achieve our health and wellness goals together. SHOUT OUT TO OUR DAUGHTERS who have been there every step of the way! While Emilia is working the "front-of-the-house" now, Madeline (graphic design, marketing) and Chelsea's (cheerleader & constant reminder that EVERYONE needs fitness & inclusion) "back-of-the-house" support never goes unnoticed or unappreciated.